The new album released on August 27 marks the first full album release without any musical input from the late drummer James “the Rev” Sullivan, who died tragically in December of 2009. The band finished the previous album with temporary drummer Mike Portnoy and released two songs for two separate “Call of Duty” games: “Not Ready to Die” and “Carry On,” both of which were written after Sullivan’s death. Equipped with new drummer Arin Ilejay, formerly the short-term drummer for Dream Theater and Confide, does “A7x” meet or surpass the high musical standard the band has set in previous albums? 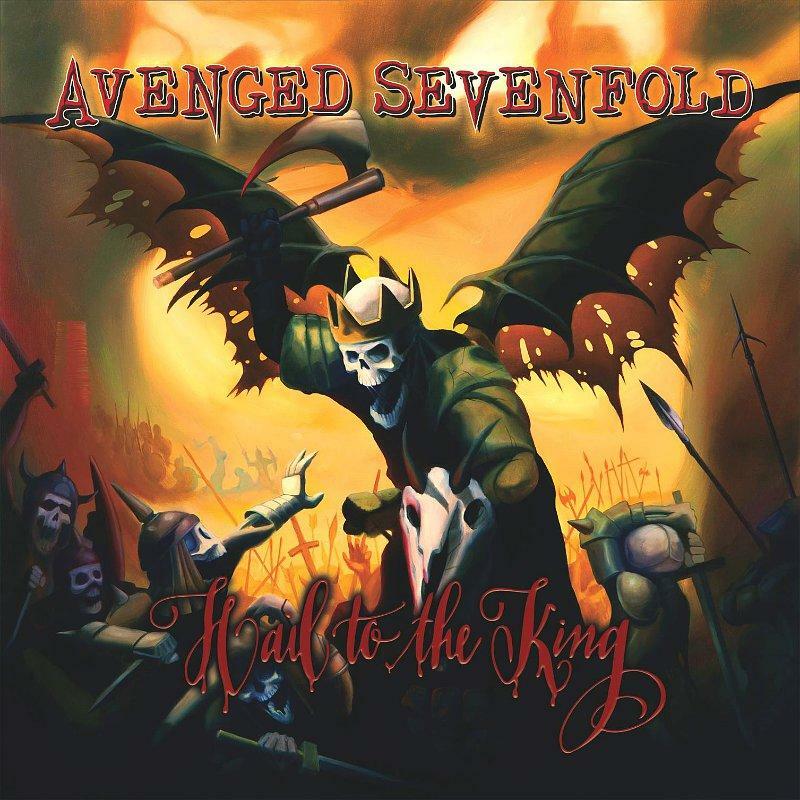 “Hail to the King” boasts a significantly altered sound than previous albums. The band substitutes fast-paced, driving instrumentals and creativity for slower and duller groove metal. Without The Rev, the drums feel too vanilla – too simple. No audible backing vocals make vocalist Matt “M. Shadows” Sander’s singing too plain. The guitar work from Brian “Synyster Gates” Haner, Jr. and Zachary “Zacky Vengeance” Baker is unexciting and bland. Simply put, the album suffers from uncreative songwriting. Every song outside of “Hail to the King,” “This Means War,” and “Acid Rain” seems hastily thrown together. “Acid Rain,” in particular, is a deep and calm breath of fresh air to the album – it’s the “A Little Piece of Heaven” of the album. Outside of those three, the other seven songs on the album are lackluster and all adhere to a “sameness” that makes the album monotonous. Before listening to the album and hearing “Hail to the King” on the radio, it appeared that this new album would be exhilarating, fresh, and powerful. Unfortunately, it comes up short in providing the pleasing, fast, radio-friendly metal that A7x has come to be known for.